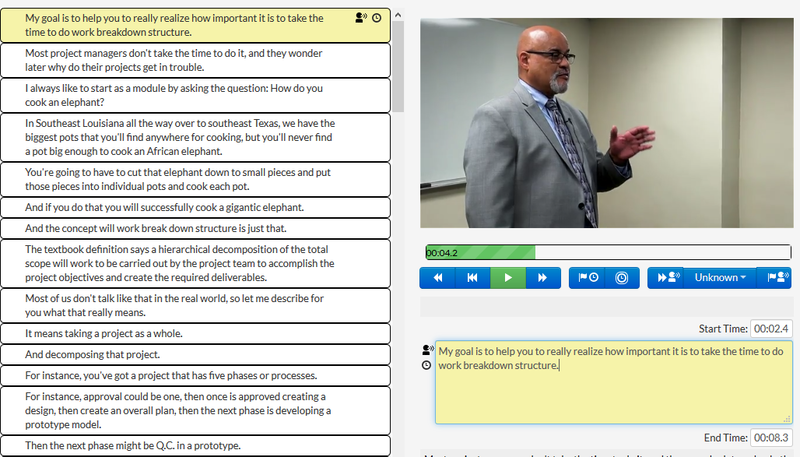 All videos added to Kaltura can go through mechanical captioning. The length of time to caption a video can depend on how many videos are in queue, and how long the video is. Usually, captioning takes five times the length of a video, but can take up to two days. This is an estimation only, so make sure you plan accordingly. The steps below will walk you through a caption request. 6. The left pane shows the caption. 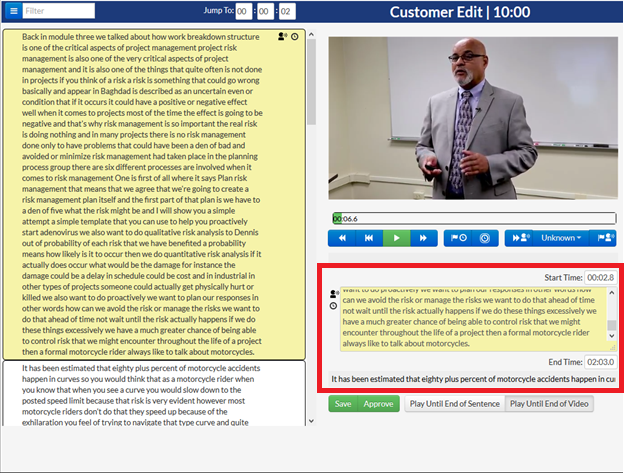 Edit the caption in the center by changing punctuation or spelling in the yellow box in the middle of the screen. The video will automatically pause as you make the edit(s), and will resume after 2 seconds. Making a new sentence will produce a new segment, as each sentence will be its own box on the left. 7. After editing the text, save your changes and wait a few minutes (4-5) for the system to recalibrate the timings. Be sure to SAVE your changes. Saving allows you to continue editing. 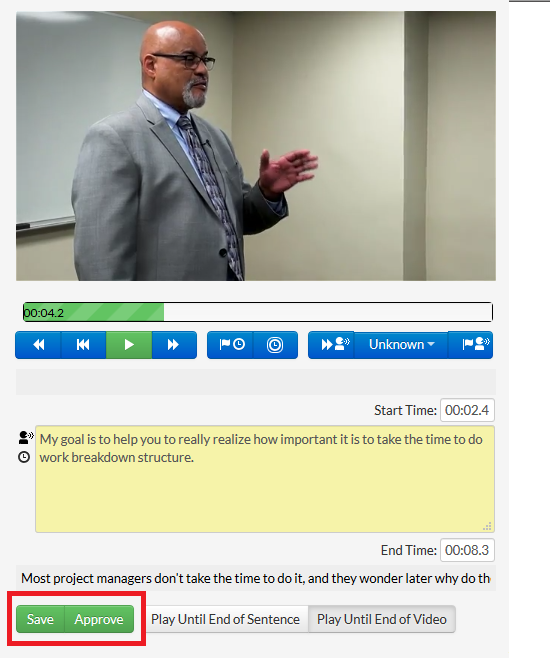 If everything looks good, click on APPROVE to sync the updated captions with the video. 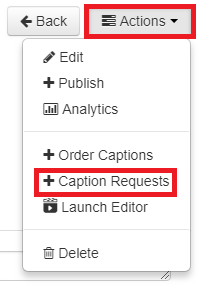 The new captions will display on the video after processing, which should not take longer than a few minutes.